Share the Christmas Festive Fun with your horse on Christmas day with these awesome Horse Bon Bons with their own horsey joke in each one!! Each bon bon has 2 beautifully decorated Molasses and Oats Christmas Trees. 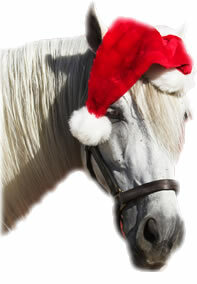 Sure to bring a smile to you and your horse on Christmas day!! The cookies have no extra sugar added just in the decoration.